Hello dear readers! Over the next few days I wanted to share with you a new series of articles on Jim Jarmusch’s superb film Only Lovers Left Alive (2013), in an attempt to locate Jarmusch’s use of the gothic in the urban ruins of the film’s setting, the city of Detroit. This is the third of four such articles, all of which have been adapted from a piece of academic writing submitted for grading to my University. I hope you all enjoy reading this as much as I enjoyed writing it. And by all means, please comment if you wish to debate any points – I encourage discussion! If you wish to look at the introduction to this series, please look at Part I.
Jim Jarmusch redefines the vampire cultural mythology throughout Only Lovers Left Alive in order to engage with human ideas rather than the concept of the other. His conception of the vampire reclaims the figure from the pages of horror novels and cinema and re-establishes the vampire as a gothic, Byronic hero. This can be seen in the vast differences between Adam and Eve and the demonic Count Dracula, or the popular zombified vampires of novels such as I Am Legend by Richard Matheson or Jim Mickle’s film Stake Land. Whereas these vampires are repellent, evil, and vicious, Adam and Eve are the exact opposite. They are suave, kind, and creatures of culture. Jarmusch specifically adopts the figure of the vampire within his film as whilst he makes these vampires human in appearance, their status as vampires and the cultural conception of the vampire offers Adam and Eve enough distance from humans to be able to comment sufficiently on the nature of the human, without appearing like whingey teenagers. Indeed, it is their vampiric nature that gives Adam and Eve cultural authority; Adam has seen Eddie Cochran live and met Lord Byron and Mary Shelley. By being able to live eternally, Adam has been able to witness and meet those who create artwork that would enter the commonly accepted canon of greatness. 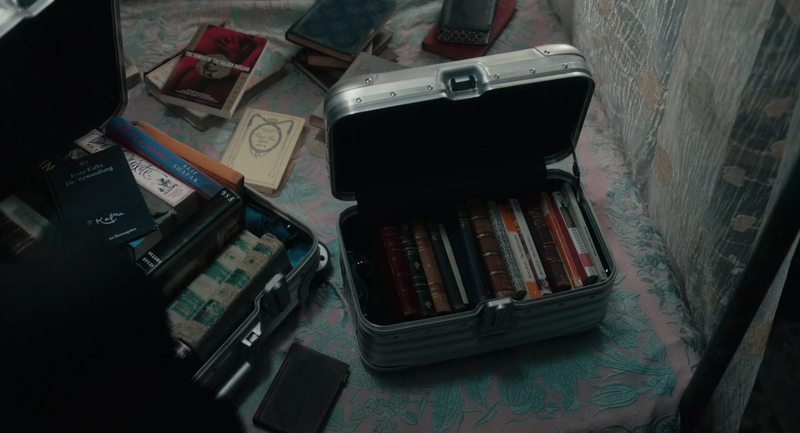 This is seen clearly in the shots panning over Adam’s wall, full of portraits and photographs of a myriad of famous artists, everyone from Edgar Allan Poe to Buster Keaton to Iggy Pop, as well as the scene in which Eve packs books in a suitcase in Tangier, pouring over volumes of famous works in their original languages. It is rare that Adam and Eve make any references to present day artists – they are suffused with many different types of culture that put it all on a level playing field. Adam equates the genius of classical composer William Lawes with Eddie Cochran, the gothic stylings of Edgar Allan Poe with Iggy Pop. The range of influences displayed on his wall show a great cultural sensitivity to changing artistic tastes. Similarly, Eve’s collection of books, some in first editions, most in their original languages, shows a need and experience of authenticity. This authenticity is only possible because of Adam and Eve’s eternal nature- because they live long lives, Eve has the chance to learn all these different languages (Arabic, Japanese, Spanish) and thus read these texts in both their original contexts and in their original language. Adam is able to listen to and meet all of the great composers, musicians, novelists, and filmmakers that he wants to, in their original contexts. Adam and Eve thus relegate the human condition to the rise of modernity; humans, or “zombies”, can read as much world literature as they want, and see as many live recordings of Eddie Cochran as they want, but they will never be able to live the moment that these artists were in, nor read these texts in their original language, as they do not have the time to become fluent in such a variety of languages, and as such they are void of any inclination. This presents the essential dichotomy of the vampires in this film; Adam and Eve cannot stop interacting and admiring the creativity of humans, but they also (Adam particularly) cannot stand their vices and their laziness that end up destroying themselves and others. 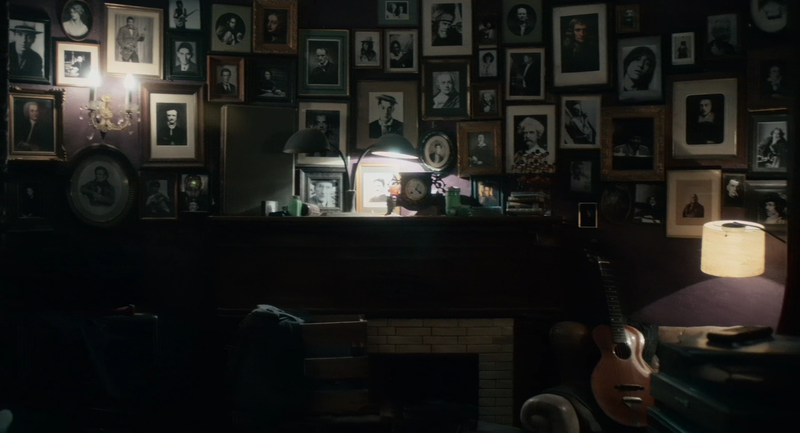 This also expands into a modern Detroit context: Adam chooses to show a very humanising icon of Jack White in his childhood home, where he grew up, to Eve. This clearly demonstrates Adam and Eve’s approval and adoration of White and his music; and yet, when they go to the gothic rock club later on with Eve’s sister, Adam and Eve (especially Adam) seem to be steeped in a deep malaise. When Ian asks if he liked the band, White Hills, Adam responds curtly “yes”; and yet when Ian asks if he’d like to meet them, Adam responds (even more curtly) “no”. This is because while the band’s performance is enjoyable, it lacks any authenticity. Whilst they share influences with Adam, the music rings hollow. There is no true artistic voice. Yasmine Hamdan’s performance in Tangier can be considered a response to this; by stripping the music of all formulated American style, Adam becomes obsessed with the hypnotism of her performance. Jarmusch is pointing towards the East as a place of true authenticity, to counter the tired and formulated American art. However, one must be weary of orientalist attitudes in this direction; whilst Adam is an eternal figure and has spent some time in the East, surely it is because this music is foreign and alien, and thus unknown that makes it hypnotic and enchanting? Regardless, it is not because humans, or “zombies”, are lowlifes and have a low culture that Adam despises them. His views are not even based on a prejudice of the human species, but on their artistic authenticity. This separation, while supported by Adam and Eve’s immortality, is not due to them being vampires and the rest human; it is because they are creatures of culture, and comparatively the rest of Detroit is not, as they do not fulfil this question of artistic authenticity. Brilliant! Thoroughly enjoy this article in lush detail. Beautiful writing and excellent observations. I am intrigued.